FURNITURE left abandoned in a city primary since it closed three years ago is to be shipped out to Third World schools, thanks to the Evening News. Dozens of pieces of school furniture including tables, chairs, gym equipment and even a piano have been left lying in Curriehill Primary since 2007, sparking criticism that it should have been re-used elsewhere in the city or donated to charity. After the Evening News revealed images which had been posted on the internet showing the discarded furniture, a local charity got in touch with the council to see if it would donate the Curriehill items so they could be shipped out to schools in poor countries. David Miles Hanschell is a former teacher who runs an organisation called Surplus Educational Supplies, which sends school equipment to developing nations and has a base in Granton. He said the talks have been fruitful and he is now preparing a shipment to schools in Nicaragua. Also set to benefit from the Curriehill furniture is Make It 4 Africa, an Edinburgh-based charity which raises money for new schools and equipment in Ghana. Volunteer Zak Abdulai said: “We are opening a school in one of the villages in September and this will help to equip not only that school, but other schools out there. Pentland Hills councillor Ricky Henderson has been helping Mr Hanschell get the equipment from Curriehill after being informed by the Evening News about the dozens of pieces of abandoned furniture. 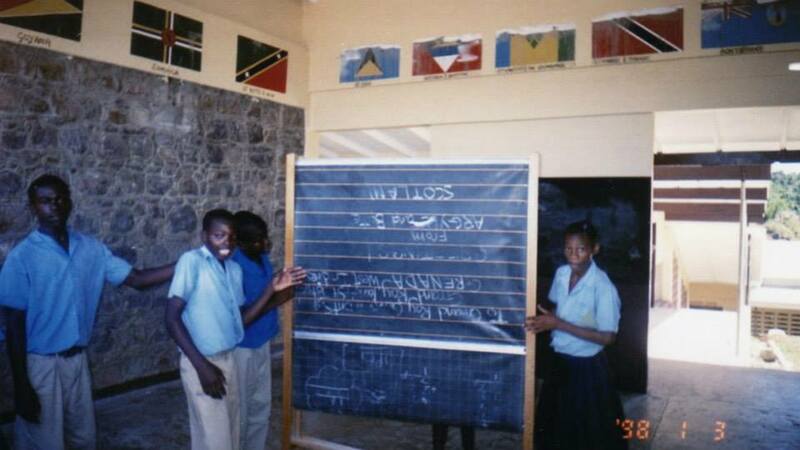 The Make It 4 Africa charity is looking for more donations of school furniture, such as desks and chairs, as well as volunteer teachers who could either go out to work in Ghana or who could help advise on planning a curriculum for the new school.